Sometimes the most obvious things get overlooked because they’re so much a part of life. I’m going to guess that’s part of the reason it’s taken the Italy Blogging Roundtable this long to talk about one of the most important physical features of Italian cities – THE PIAZZA. Every town has at least one, if not hundreds, and piazzas serve so many purposes it’s tough to categorize just what makes them so central to daily life. That doesn’t mean we won’t try, of course. There is a square in downtown Portland that’s known locally as the city’s “living room.” During the summer months, not a weekend goes by, it seems, that the square isn’t hosting some festival or flower show or sandcastle competition. People congregate on the wide, sloping brick steps to eat, read a book, or chat with friends. Even in bad weather (which, yes, Portlanders see quite a bit of) the square remains a busy thoroughfare and serves as one of the best meeting places (“I’ll meet you at Pioneer Courthouse Square at 11, okay?”). In the U.S., we’re accustomed to having our “living rooms” in our homes. We socialize with friends and family privately indoors. Calling this square Portland’s “living room” sends a very clear message of what purpose the square is meant to serve, and how relaxed we are meant to feel in it. Italians, however, would need no such instruction, and may even find the moniker confusing. 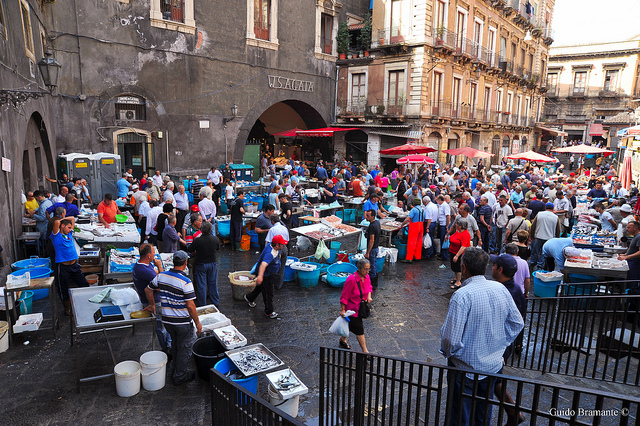 The Italian equivalent of the square is the piazza, and they are everywhere in Italy. Some are grand – think Piazza San Marco in Venice or Piazza Navona in Rome – and some are little more than an intersection that’s slightly larger than it needs to be. The piazza is a place to have a smoke and read the paper on a break from work. It’s the meeting point, destination, or midway stop on the daily passeggiata. It turns into the local market on a regular basis. 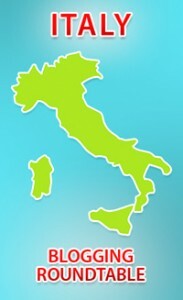 It hosts outdoor concerts and festivals on major Italian holidays. The idea of the piazza as living room is so obvious to Italians that it doesn’t need to be said – but to outsiders more accustomed to entertaining in the comforts of home, it may seem strange. Why sit on the hard marble steps of the church or city hall talking to friends when you could be comfortable on your own sofa? At least one answer lies in the size of Italian homes. Especially in the city center, Italian apartments tend to be incredibly small – to visit with the number of people one can meet in the piazza would require a ballroom. The natural thing, then, is to simply move the party outdoors. One of the pleasant yet intangible things many travelers in Italy (and, indeed, other places in Europe) notice when they visit is how connected people seem to be. Locals don’t need to place their order at the bar in the morning – the barista knows what coffee they’ll have. Market vendors greet customers with a double-cheek kiss and reserve the best produce for their regulars. Busy office workers still manage to find time to have a sit-down lunch with friends and colleagues away from their desks. In short, people seem to genuinely know one another. But what else would you expect when the piazza really is your living room? 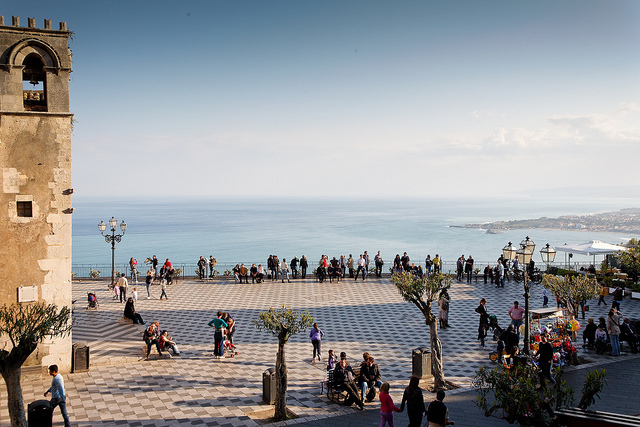 Do you have a favorite piazza in Italy? 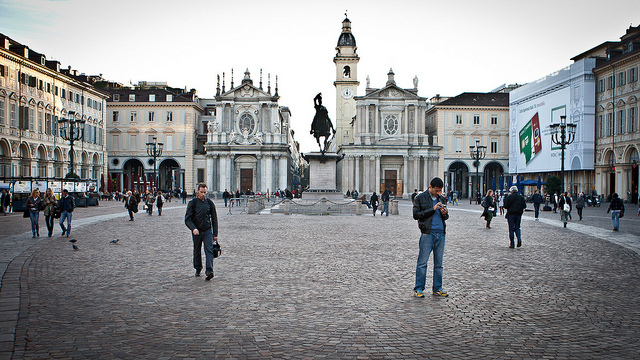 Does your town have a public space that serves the purposes of the piazza? For further reading, I like this post of Alexandra’s on the historic function of the piazza. So, what do my fellow Italy Roundtable bloggers have to say on the topic of THE PIAZZA? There’s only one way to find out. 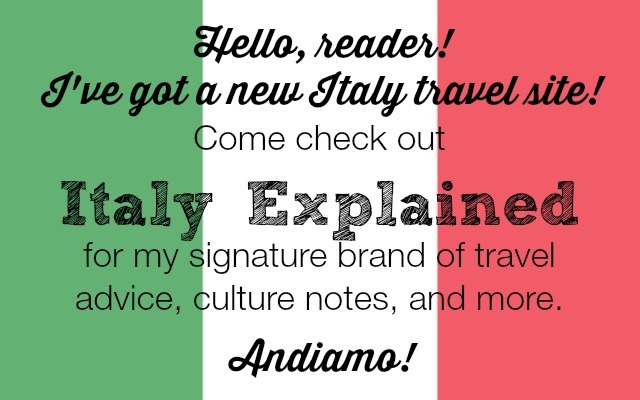 Click through to the following links to read each of their posts – and please leave comments, share them with your friends, and tune in next month for another Italy Blogging Roundtable topic! I like comparing the piazza/square to the city’s living room because it really is meant for lounging, talking, gathering around…When I lived in the Czech Republic, one of the first things I loved about the life there was walking through the squares a few times every day. My friends and I met there. We had coffee at the cafes on the squares, sat there in nice weather, watched festivals there, etc. Such a nice part of European life.